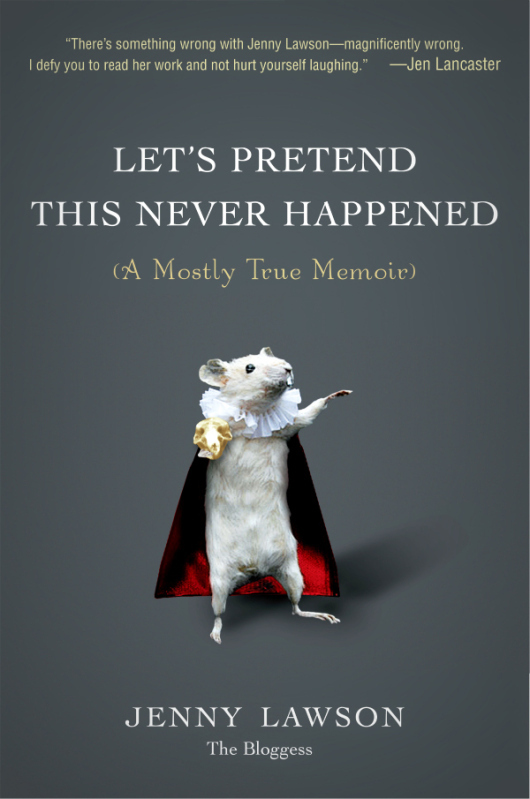 I don’t think I truly knew what embarrassment meant until I read Jenny Lawson’s Let’s Pretend This Never Happened: (A Mostly True Memoir) . Thank you Jenny for some roll on the floor laughing moments. Certain parts of the book (actually most of it) seemed so outrageious, but at the same time it was way too detailed and strange to be made up. Like the time she stuck her arm up a cow, or got stabbed by chicken. The book teaches some valuable life lessons especially to be proud of who you are. Jenny suffers from rheumatoid arthritis, OCD, depression and anxiety, but she makes people laugh and isn’t afraid to share her unfortunate stories of both her past and present with the world. She loves the life that has shaped her into who she is today. I have now become a follower of her blog The Bloggess. It is equally as hilarious as the book and really motivates me to share some silly stories from my past that were no where near as personal or embarrassing. She would probably think I’m crazy for saying her book is an inspiration. Previous Post What Was Your First Ever Screen Name?